We are proud to announce that we have just switched our beloved development distribution, openSUSE Factory, to be an independent distribution using the “rolling release” development model. openSUSE Factory is now a tested, reliable and bleeding edge Linux distribution! This change will shorten the stabilization process for our major releases (next up: 13.2) and eliminate the need for pre-releases and milestones. In the old development model, an army of packagers would shoot new packages and updates to Factory, with a relatively small team of Factory Maintainers taking care of the integration process of all those packages. This often took a long time to stabilize for a release. In the new “rolling release” development model, package submissions cannot go to Factory directly. First they have to prove to be functional and trustworthy in a staging project. Staging projects are projects in our Open Build Service where groups of submissions are collected, reviewed, compiled and tested with openQA. But even after the packages survived the staging project, they don’t directly end up in Factory. First all Factory media (e.g. DVDs etc.) are being built and put again through more tests in openQA. 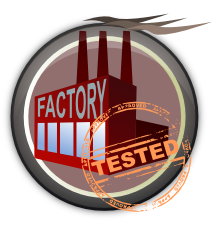 The Factory maintainers then decide on the basis of the Factory-To-Test overview if the new packages should be published to the users. This new Factory development model balances responsibility among packagers, testers and end users while putting more emphasis on automated quality assurance. As a result, openSUSE Factory becomes a reliable, always-ready working distribution. Get it while is hot! So there is no excuse not to give Factory a try and provide feedback or, if you are not so interested in living on the edge, to help spreading the word: there is a new (old) kid on the Linux Distributions block: openSUSE Factory! This major change in how we develop our distribution would have not been possible without the tireless work of the openSUSE Team from SUSE who drove this process, the openQA developers who integrated all the features and certainly not without our most awesome package maintainers who provided feedback along the way. Thank you guys for another astonishing job completed! The openSUSE project is a worldwide effort that promotes the use of Linux everywhere. openSUSE creates one of the world’s best Linux distributions, working together in an open, transparent and friendly manner as part of the worldwide Free and Open Source Software community. The openSUSE distribution is a stable, easy to use and complete multi-purpose distribution. It is aimed towards users and developers working on the desktop or server. It is great for beginners, experienced users and ultra geeks alike, in short, it is perfect for everybody! The latest release, openSUSE 13.1, features new and massively improved versions of all useful server and desktop applications. It comes with more than 1,000 open source applications. openSUSE is also the base for SUSE’s award-winning SUSE Linux Enterprise products. 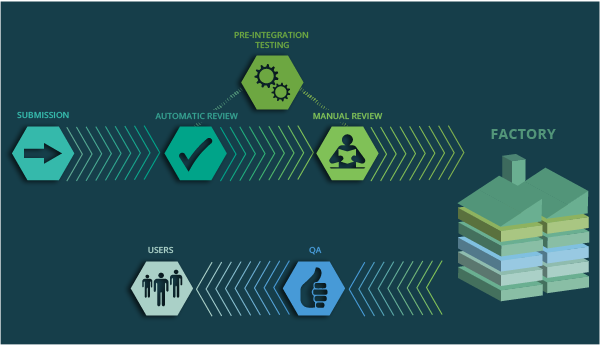 openQA is the only comprehensive, fully automated Linux distribution testing framework which can run tests on every level of the OS, from core functionality like the kernel up to testing applications like Firefox or LibreOffice. It shows the results in a convenient web interface and allows testers to see screenshots and even videos of the issues found. Great news! I blogged about that a few days ago! Good news :) But I thought that we already had a rolling release version: Tumbleweed. Will it be abandonned? Nice, I have to try it now. I’m so excited. So where can I find the info how to get my 13.1 switched to this rolling release? 1. Why are there multiple versions of a package ? Examples Libreoffice, kernel etc. Why are versions of packages virtualbox-guest-kmp and virtualbox-host-kmp different here http://download.opensuse.org/factory/repo/oss/suse/x86_64/ and here http://download.opensuse.org/repositories/Virtualization/openSUSE_Factory/x86_64/? Difference is in various kernels. Original Factory repo contains kernel 3.16.rc5, but virtualbox packages are for older kernel 3.15.5. Factory Virtualization repo contains correct packages for kernel 3.16.rc5. This difference causes problem with good virtualization of Factory in VirtualBox. Are the isos available at http://download.opensuse.org/factory/iso/ already through the process and ready to be used as a rolling release or new ISOs will be built soon? Hmm, so unless I’m doing something wrong, it seems there is no latest DVD snapshot for either x86 or x86_64. The latest KDE LiveCD still appears to also have a broken installer (error about FindBaseProducts). Not sure how Gnome, NET, or Rescue images fare. What is going to happen to factory-tested? Hi, good news all around – but is there a “back log” of packages that had been pushed into Factory using the old submission process but have neither been integrated by the Factory Maintainers yet (to quote: “This often took a long time”) nor have gone through the new quality assurance process? If so, could you please give an estimate of how long it will take until all packages in Factory are stable? We don’t test packages one by one, we test the main functionality of the distribution itself before publishing it. I think that the factory still looks as before – like the factory. Not sure what changed. There are multiple versions of packages, many of them beta. I wouldn’t mind waiting a couple of days. This A.M., for e.g., there is a version of Mesa that is neither 10.2.3 nor 10.2.4 whereas both versions have been released but we have a version in between (beta of 10.2.4). So why is this more stable than before ? Are automated tests enough to consider software of good quality ? Just loaded the factory distro to my Lenovo W530 as the primary boot partition. So nice! All worked great when I chose the network install. Thanks for the efforts – I’ll be a happy Factory user/tester. Wow, what an exciting move by openSUSE! This begs for comparison with Arch, which is currently what many would consider to be the most successfully executed rolling release. What level of stability and/or breakage can we expect from openSUSE Factory compared to Arch? And what about frequency of updates? Has any thought been given to delta updates for Factory? That would be WONDERFUL for users who have slower or bandwidth-limited internet. What will happen to Factory users running proprietary Radeon Catalyst or proprietary Nvidia drivers as the kernel and xorg stack get frequently updated? This is welcome news! Sounds great. However, I tried moving my repos last week from Tumbleweed to Factory, in the way that is advised in the wiki. Didn’t work well for me at all…. Hence, for now I’m back on Tumbleweed and will wait a while until I’m more sure of a stable system and smoother migration. I report a bug on bugzilla. Months go by. Then I get an email they are closing this bug because the version is not supported anymore, and I should re-test on the latest version and open a new bug if it still exists. Will this make reporting bugs worthwhile again? I basically stopped frequently had no effect, and 13.1 is EXTREMELY buggy. On my laptop I now have Factory (rolling) loving it!! Hi JHB, I know your problem and how frustrating it is, so I started taking countermeasures.